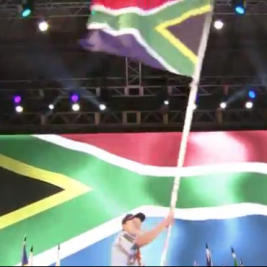 Stuart Ravenscroft manages the Western Cape Scout Heritage center in Goodwood. 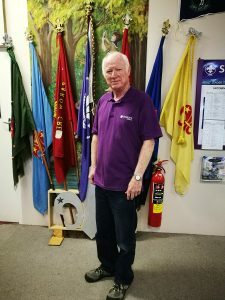 He recently joined the Alumni Network and so we met up with him for a cup of tea and to find out why our Scouting heritage has such an important place in his heart. Stuart joined Scouting as an adult 34 years ago when his neighbour asked him to come to a meeting. “I was a mountaineer and an outdoors man and my neighbour asked if I could help to test the older Cubs on lighting a fire and making a cup of tea. I immediately grasped the ‘bigger picture’ and thought this would be something worthwhile to get involved in. I joined 1st Edgemead as an Assistant Pack Scouter and my son became a Cub. It was extremely rewarding to see how the aims and methods of the movement influenced the children for the better. The children enjoyed the outdoor activities and camping, they made good memories and had fun. That has always been a big part of my life and I loved that I could experience that in Scouting too. 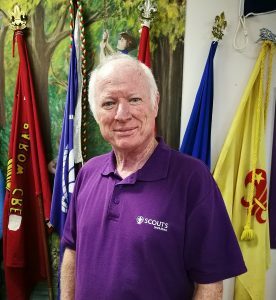 As my son grew older, I switched with him to the Scout Troop and eventually became the Troop Scouter and later Group Scouter,” explains Stuart with a smile.